“Riddled with flat characters” is perhaps one of the most damning things you can hear from an editor or reviewer. An accusation that your protagonist reads like a cardboard cut-out is like a knife in the heart of any fledgling writer. However, it’s not the end of the world. 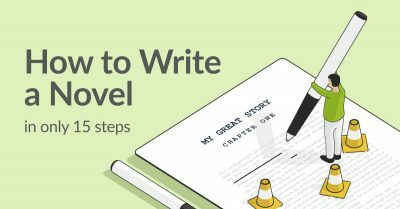 If you learn how (and when) to use one-dimensional characters correctly, you can get a leg up on your character development. In this post, we’ll show you what counts as a flat character — and how to remedy them, if need be. When a character has few discernible personality traits and lacks emotional depth, they are considered flat. In its purest form, according to EM Forster, a flat character is constructed “round a single idea or quality” and has no existence outside of that line. A flat character is sometimes referred to as “one-dimensional” or “two-dimensional.” Predictably, all of these monikers point to the same thing: a character who has little to no complexity. This will stand in stark contrast to round (or “three-dimensional”) characters, who are lifelike and undergo a compelling story arc. If you look at any object in real life, it will have three dimensions, right? Similarly, a three-dimensional character has the depth to come across as “real” to readers — as opposed to a character who’s merely flat. Don't make the mistake of mistaking a flat character with a static character. 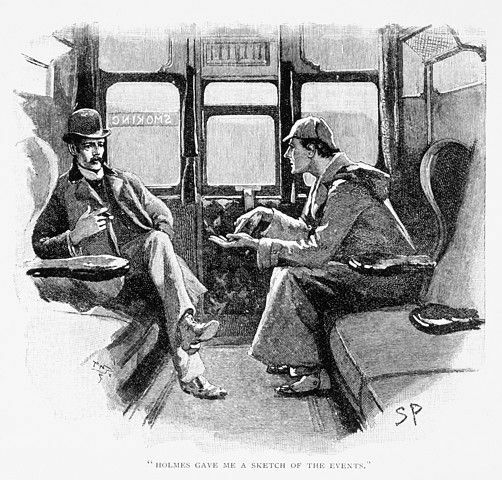 “Static” (or its inverse, “dynamic”) strictly describes the amount of change that a character changes throughout the story, while “flat” is a referendum on the character's complexity. That means that, generally, all one-dimensional characters are static, but not all static characters are one-dimensional. To learn more about the flip side of the equation, we wrote extensively about what makes a dynamic character here. Having one-dimensional characters never spells automatic death for your book. Charles Dickens, for instance, was a genius at writing casts that were packed with memorable caricatures. Are Mrs Havisham, Mrs Micawber, and Mr Jaggers flat characters? Yep. Does that make them uninteresting to read about? Not necessarily. Flat characters can fulfill a number of roles: they populate the environs of the protagonist’s journey, and can move the story along in a plot-driven book. To show you what we mean, let’s go to some actual examples. Whether they’re chilling in the background or guiding an adventure, one-dimensional characters are around more than you might think. Now that you know what a flat character is, let’s take a look at how they exist across different genres and mediums. What are 8 examples of flat characters? Find out in this post! Summed up in one sentence? A brilliant, cold, and intelligent detective. Role in the story: To serve as the untouchable figurehead in a straight detective series. Summed up in one sentence? An uneducated, gentle, kind blacksmith. Role in the story: To love and support Pip as Pip’s uncle. Joe is the unwavering moral compass of the book. Summed up in one sentence? A feisty girl who’s the youngest sibling in the Weasley clan. Role in the story: To be Harry Potter’s love interest. 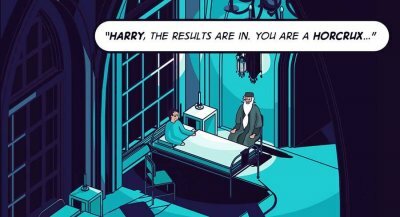 Note: Ginny does undergo a personality change mid-way through the series! Originally a shy girl in the first five books, she's suddenly a strong-willed and outspoken teenager in the sixth book. However, this character growth is “told” to us, not “shown” (and it doesn't make Ginny any more complex). Her change in character is for plot convenience more than anything else. Summed up in one sentence? A wise wizard who acts as a force for good. Role in the story: To act as the guide as the Fellowship travels across Middle-Earth to defeat Sauron. In the context of the Hero’s Journey, he also is the personal mentor for Frodo. Summed up in one sentence? A pretty, gentle, passive girl with a heart of gold. Role in the story: To be the perfect heroine in a timeless story about good triumphing over evil. Summed up in one sentence? The girl next door who’s the object of Peter Parker’s affection. Role in the story: To be the damsel in distress who Peter rescues time and again from the Green Goblin’s clutches. Summed up in one sentence? A popular high school student who isn’t the brightest bulb in the box. Summed up in one sentence? A silly, pompous, vain, obsequious clergyman with narcissistic tendencies. Role in the story: To represent the stereotype of the silly, servile parts of British society that Jane Austen ends up eviscerating. 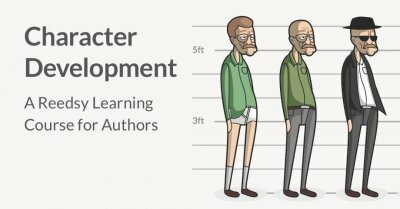 Why do authors write flat characters? Minor characters are needed. These characters don’t need depth, as they exist in order to further a three-dimensional protagonist along on their journey. But what if you’re realizing that you’ve got a character who’s not supposed to be one-dimensional? 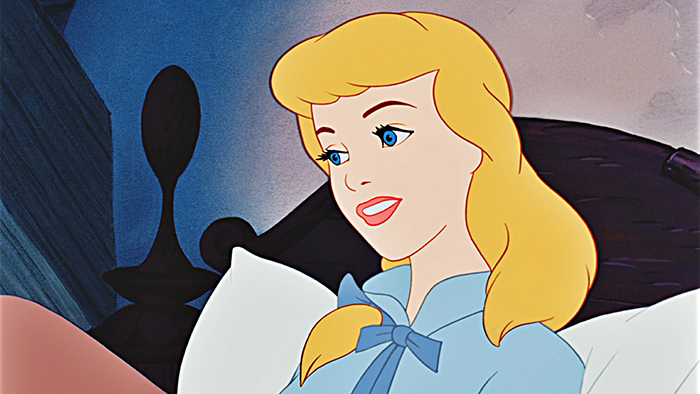 Don’t fret — that’s just a matter of character development. 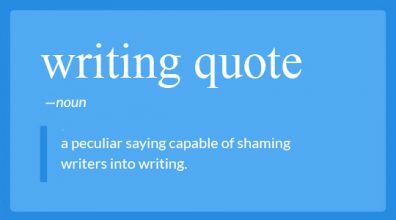 Let’s look at some ways to turn that flat character round (that don’t include eating contests). So you’ve got a flat character who you want to round out. You can read more about good character development here — but we’ve got you covered with a few of the most important pointers here. Enter your email below and select 'Writing - Developing Characters Your Readers Will Love' in the drop-down menu of the next pop-up. Option #1. Flesh out the backstory. To give a character more than one “dimension,” begin by thinking about them as an actual human being. What defines them? What strengths and flaws are central to their very being? What gets them out of the bed each morning? You might start out with a one-dimensional character named Eric — a greedy businessman. But is he a dog-lover with five Corgis at home? Is he a secret aficionado of Zumba on the weekends? Does he lie awake at night figuring out how he’s going to put his children through private school? Much of a character’s “depth” will also derive from the backstory. This can encompass a character’s schooling to the kind of family that raised them — everything that informs their personality and choices in the present day. 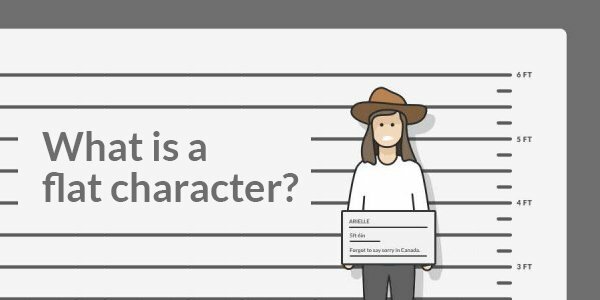 A handy tool you can use to make sure that you’re covering all the bases is a character profile. Option #2. 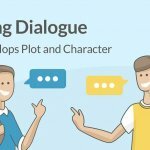 Use character development exercises. A well-written three-dimensional character will make readers think that their life stretches beyond the mere pages in the book. When Jane Austen tells us on the last page of Pride and Prejudice that Elizabeth Bennet and Mr Darcy lived happily ever after, we believe her because the depth of both characters enables us to imagine it for ourselves. Likewise, you can test the depth of your character by putting them into unrelated scenarios of your own making. You don’t necessarily need oh-so-grand situations. 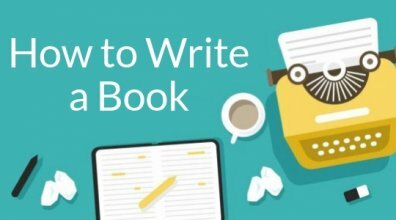 Instead, jot down a couple of scenes with the character going about everyday life or struggling to deal with a normal problem. If you’d like a push in some more directions, you can go here for more character exercises. Option #3. Chart the character’s internal arc. This story goal is the Holy Grail for all three-dimensional characters. It will be the raison d'être for your story and will largely impact the shapes of both the narrative and character arcs. One way to go about visualizing it is by plotting a timeline on a blank sheet of paper. Mark down the major events (or “turning points”) of your story on it. Then draw a second line beneath the timeline to trace character growth at the same points in time. 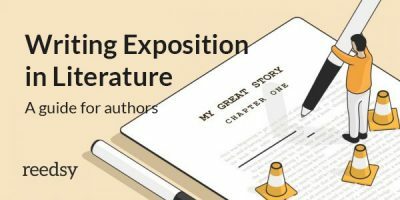 How does each external event affect your character? Do these changes bring your character closer or farther to the story goal? 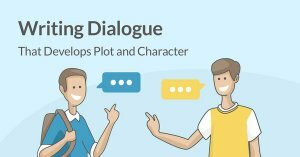 A character’s internal development isn’t always straightforward (think Hamlet), but it does generally correspond to the events that are happening concurrently in the narrative arc. Do you have any favorite flat characters? How much fun do you have writing your own one-dimensional characters? Let us know your thoughts in the comments below.